After our flight was announced delayed, this guy started drinking heavy. 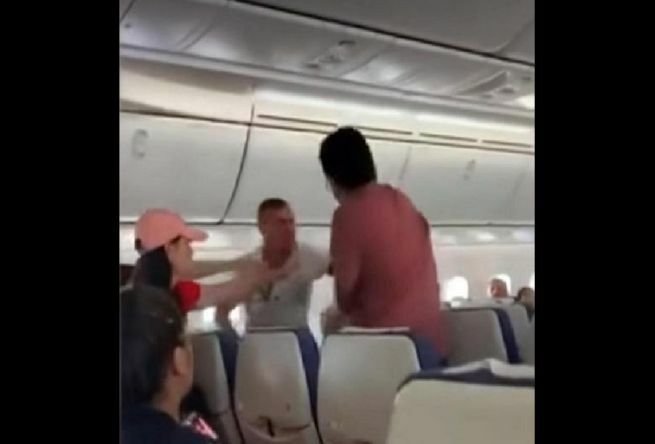 About 20 minutes into the flight he started becoming aggressive and had to be restrained after all of this kicked off. watch until the end. He strips and goes for a run before being tackled down.